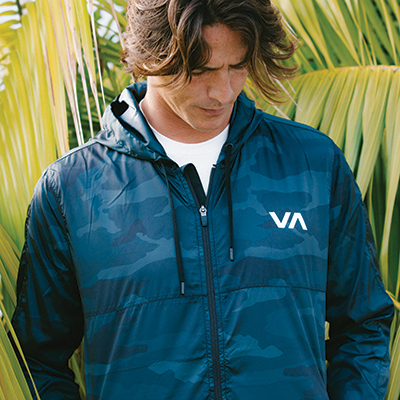 Natural palms get a hand done treatment on the Sketchy Palms SS woven by RVCA. 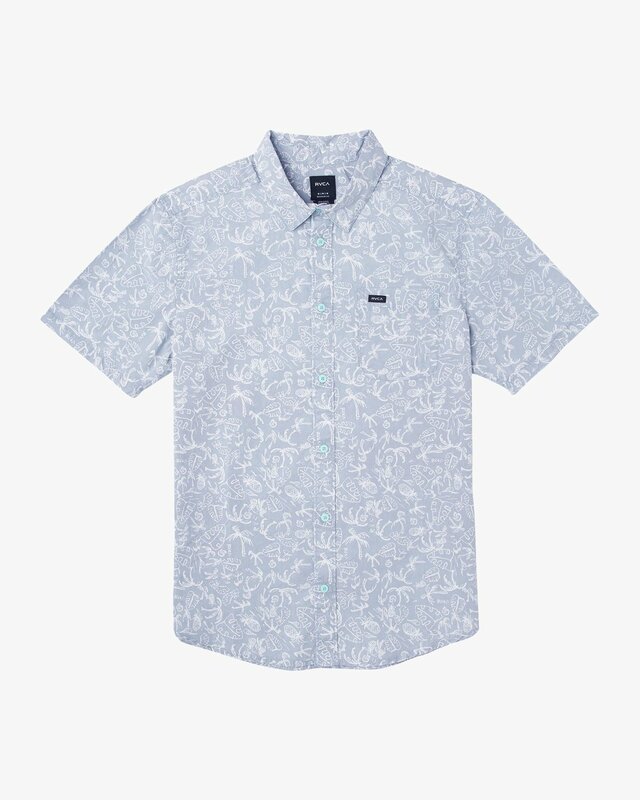 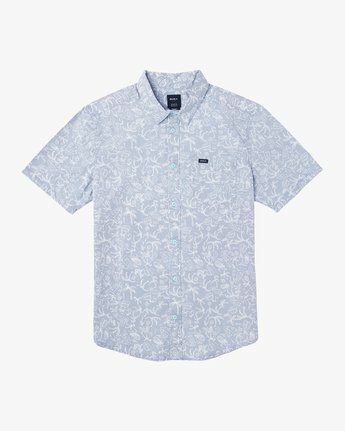 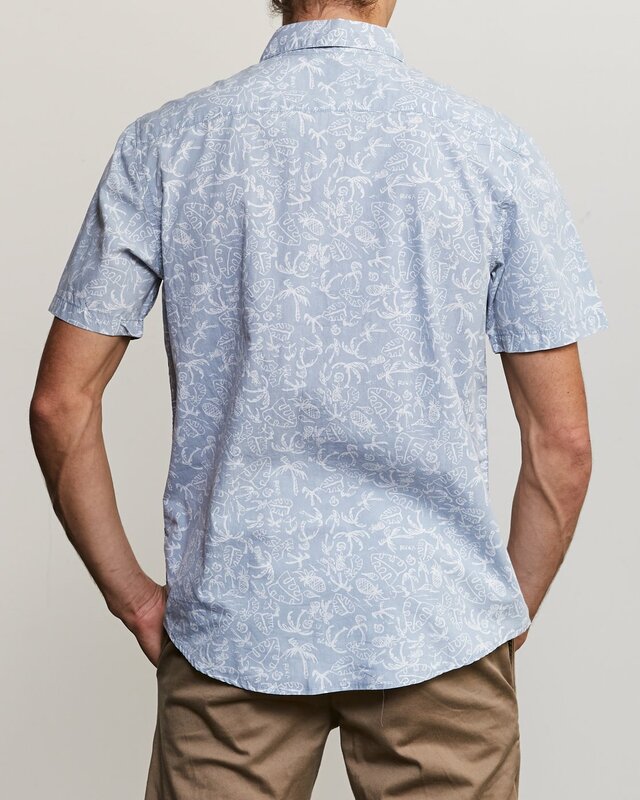 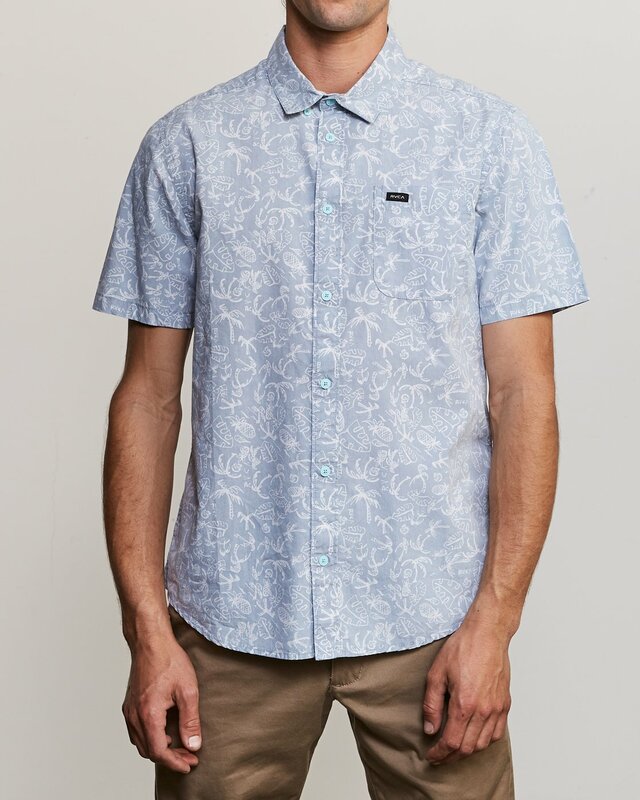 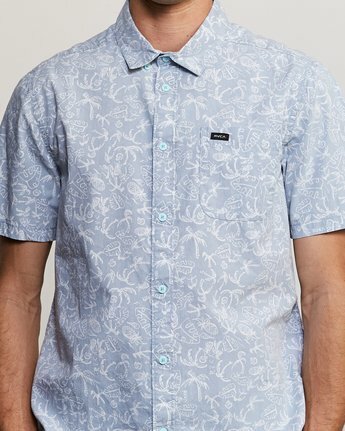 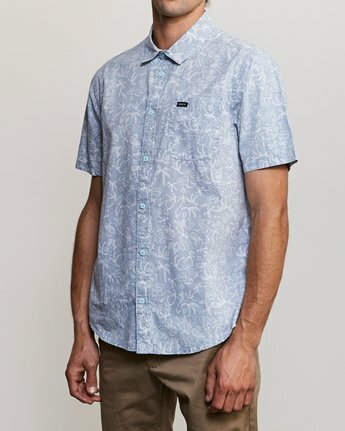 A regular fit short sleeve button up, designers have created a custom all over palm print for this 100% cotton top. 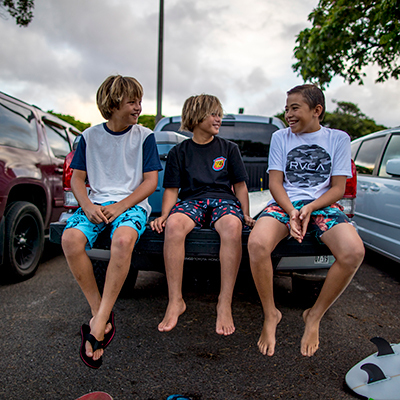 A patch pocket appears on the left chest, and a RVCA solo label has been added to the pocket hem.